Jurgen Klopp provided an in-depth injury update for his key defensive personnel ahead of Liverpool’s clash with Crystal Palace on Saturday. The Reds return to Anfield for the first time in 2019 looking to continue their winning ways against Palace, following their 1-0 win at Brighton last week. Roy Hodgson’s side arrive on Merseyside with just one Premier League win from their last four games, but despite being precariously positioned close to the relegation zone the Eagles do pose a danger having recently outmuscled Man City on their own turf. Liverpool have history with Palace, as does Jurgen Klopp, as his first Premier League defeat as manager came at the hands of the Eagles. It was a game where the German admitted to feeling “lonely” as a number of fans left Anfield well before the final whistle, and Klopp noted how things have changed both on and off the field in the years since. “Was it Palace when I felt lonely? Now it’s completely different. We have reached a nice level. We’ve used that atmosphere,” he told reporters. 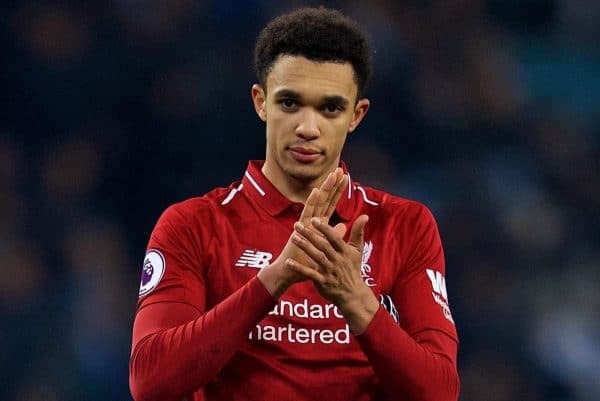 On the injury front Klopp provided an unexpected positive fitness update on Trent Alexander-Arnold, who had been tipped to be out of action for four weeks with a knee injury, but is instead in contention for Saturday’s game. A decision on Gini Wijnaldum‘s availability, meanwhile, will not be made until closer to kickoff after the midfielder picked up a knock at Brighton. 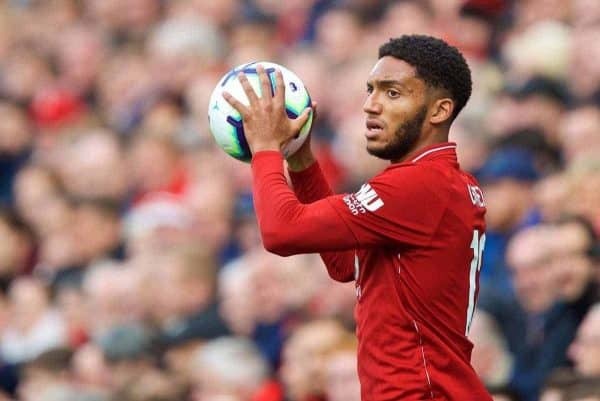 “Gini and Trent, we will decide day by day. It’s of course not cool,” he said. “The exceptional part of that story is that they both played 90 minutes [at Brighton]. The whole world saw what happened to Trent—what a boy, unbelievable. “We played the game and afterwards we got the information that he had [an injury]. Klopp also responded to queries over the availability of key defensive personnel after being forced to plug holes with midfielders in recent weeks. While Joel Matip is in the frame for a return to the starting lineup, the game has come too soon for the likes of Dejan Lovren and Joe Gomez. “Joe, no—improving, improving, improving. We all hope it will be quick from now on but don’t know exactly. The manager also voiced his view over the ‘spygate’ saga surrounding Leeds United and Marcelo Bielsa, and discussed the club’s upcoming training camp in Dubai with an 11-day break awaiting the Reds.